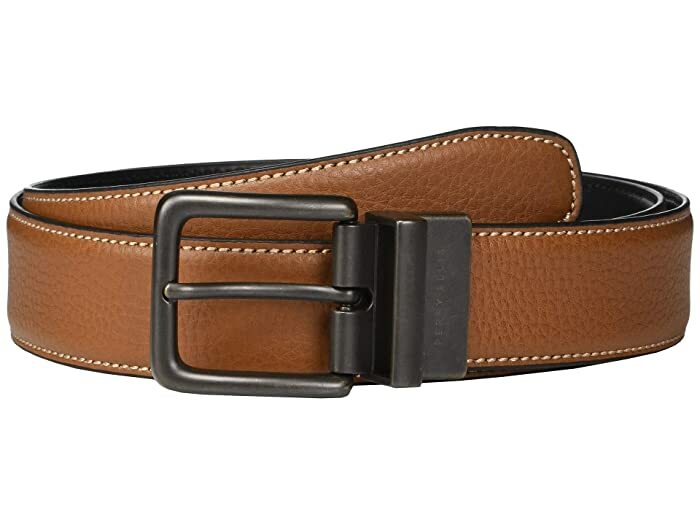 Ensure your accessories are on point with the rest of your ensemble with the Perry Ellis® Portfolio Reversible Belt. 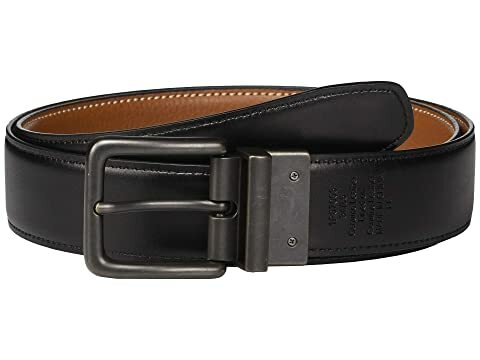 The pebbled leather reverses at the buckle for an alternative look. Single prong and loop buckle with an etched finishing. Product measurements were taken using size 34. Please note that measurements may vary by size.